Snoop Dogg who recently appeared on the finale of Fox hit show "Empire" will be joining rappers like 50 Cent in television production. According to reports, Snoop will serve as an executive producer on an upcoming HBO series. No title for the series has been revealed but the show will take place in 1980s Los Angeles and center on a family faced with the backlash of Reaganomics. 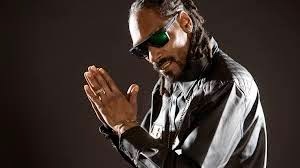 Much of the subject matter will be inspired by Snoop's own adolescence, which he described as an incremental change from "having fun and playing football to selling drugs and shooting at each other." "This is like a dream come true, to tell a story in the right way on the right network," Snoop said. The West Coast rapper will be working with Allen Hughes, the director of "Menace II Society", and Rodney Barnes, a writer on the animated show "The Boondocks".